1.32 inch high quality HD LCD screen. 2. Metal firm structure with high quality powder coating, beautiful LED flash lighting. 3. The machine is available for any modes. 5. Famous brand coin acceptor, smart card system is supported. 6. High quality power supply with good guarantee. 1.All the products in our purchasing platform with higher quality level in function and performance. 2.All the products in our purchasing platform has passed quality assurance system authentication. 3.In purchasing platform of all products are qualified inspection report and the complete documents. 4.Check and test the product function and performance. 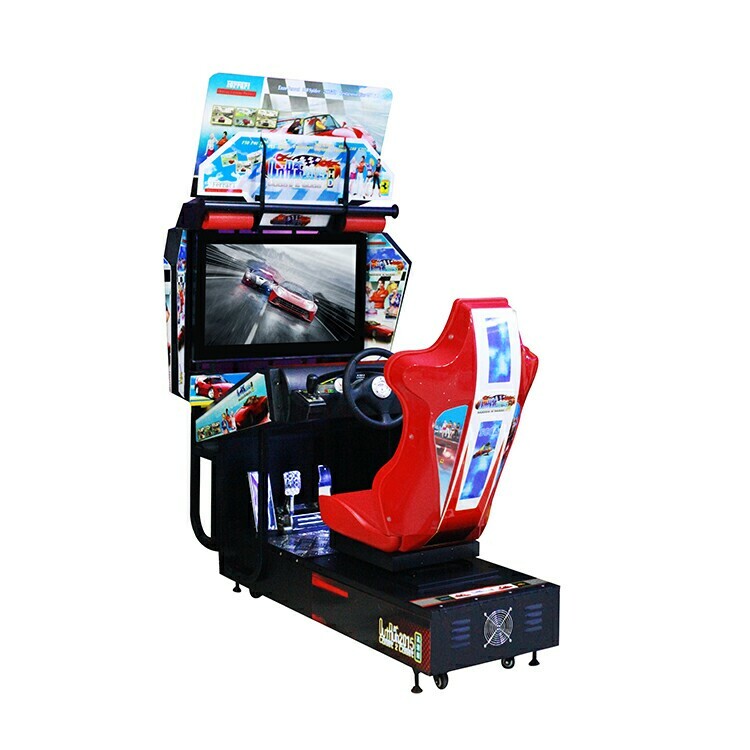 How to play Outrun racing arcade machine? 1.Insert coin to start game. 2.Select your drivers, cars,difficulty level and music and start racing. We can make your own artwork as your requirement, such as your logo. 3. How do we secure our payment ? Good question, for trial order. We can do the order and payment via Alibaba trade assurance,trade assurance like Paypal can guarantee your benefit. before shipment, so when you receive the machines, just plug and play ! Any problem any help, please contact us!